AND MAY RESULT IN BODILY INJURY OR DEATH. DO NOT ENTER UNLESS YOU UNDERSTAND THAT. Like: downhill cycling, mountain biking, skiing, skateboarding, snowboarding, bmx, rollerblading, and other extreme and non-extreme activities. Soap box racing is dangerous, cars can reach upward of 50+ m.p.h.. Soapbox events are held on public roads and variable conditions always exist. The fact that your soapbox car will have, steering, brakes, and maybe a roll cage and seat belts should not imply that this activity is safe in anyway. 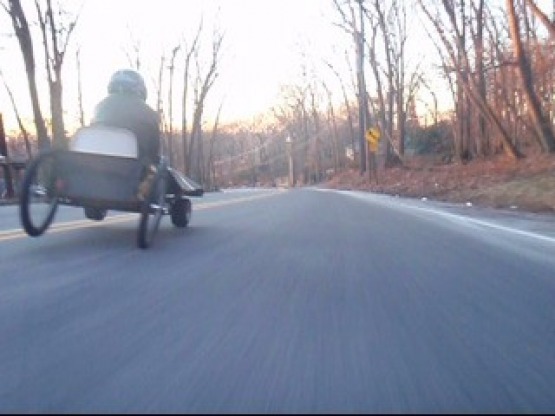 Soapbox karts should obey all traffic rules to the same effect as a bicyclist, skateboarder, wheelchair or any other NON-motorized activity that may occupy the roadway. By entering and participating, YOU assume ALL liability for your actions and the outcome that may result. You agree to hold NO ONE else responsible for anything that may happen before, during or after any of our events. It is up to YOU to understand the risks and your participation means YOU know that bodily injury, emotional injury, financial injury, bodily death, emotional death, or financial death may be the result. YOU agree to hold everyone harmless should things go terribly wrong. Further more, you agree to accept any penalties that may come your way as a result of your actions and not try to pass them along to some one else.